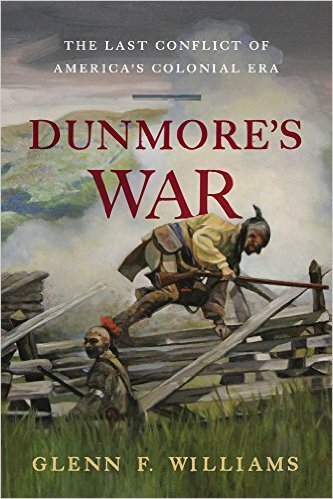 Known to history as “Dunmore’s War,” the 1774 campaign against a Shawnee-led Indian confederacy in the Ohio Country marked the final time an American colonial militia took to the field in His Majesty’s service and under royal command. Led by John Murray, the fourth Earl of Dunmore and royal governor of Virginia, a force of colonials including George Rogers Clark, Daniel Morgan, Michael Cresap, Adam Stephen, and Andrew Lewis successfully enforced the western border established by treaties in parts of present-day West Virginia and Kentucky. The campaign is often neglected in histories, despite its major influence on the conduct of the Revolutionary War that followed. In Dunmore’s War: The Last Conflict of America’s Colonial Era, award-winning historian Glenn F. Williams describes the course and importance of this campaign. Supported by extensive primary source research, the author corrects much of the folklore concerning the war and frontier fighting in general, demonstrating that the Americans did not adopt Indian tactics for wilderness fighting as is often supposed, but rather used British methods developed for fighting irregulars in the woods of Europe, while incorporating certain techniques learned from the Indians and experience gained from earlier colonial wars. As an immediate result of Dunmore’s War, the frontier remained quiet for two years, giving the colonies the critical time to debate and declare independence before Britain convinced its Indian allies to resume attacks on American settlements. Ironically, at the same time Virginia militiamen were fighting under command of a king’s officer, the colony was becoming one of the leaders in the move toward American independence. Although he was hailed as a hero at the end of the war, Lord Dunmore’s attempt to maintain royal authority put him in direct opposition to many of the subordinates who followed him on the frontier, and in 1776 he was driven from Virginia and returned to England.